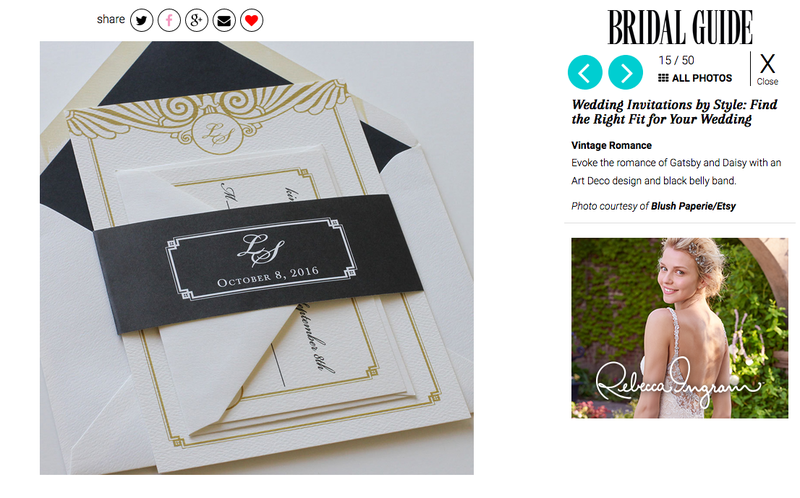 Super excited to see our Art Deco wedding invitation suite featured on Bridal Guide! Shown here in gold and black, this suite can be completely customized in the print colors and fonts of your choice. As always, we offer sample sets of all our designs so you can see and feel the quality of our printing and paper in person.